Today I'll be reviewing a product from the body shop's most loved skincare range, tea tree! I was never a fan of tea tree scent until I tried their tea tree wash, scrub and mask. It is absolutely amazing. If you have blemish prone skin and mild acne then surely give it a try. I've tried tea tree products from other brands but never liked tea tree fragrance, found it way too artificial but I have to admit that tea tree scent in the body shop's products doesn't feel artificial at all and I actually really like it. And, now I wanna try every product in their tea tree range. 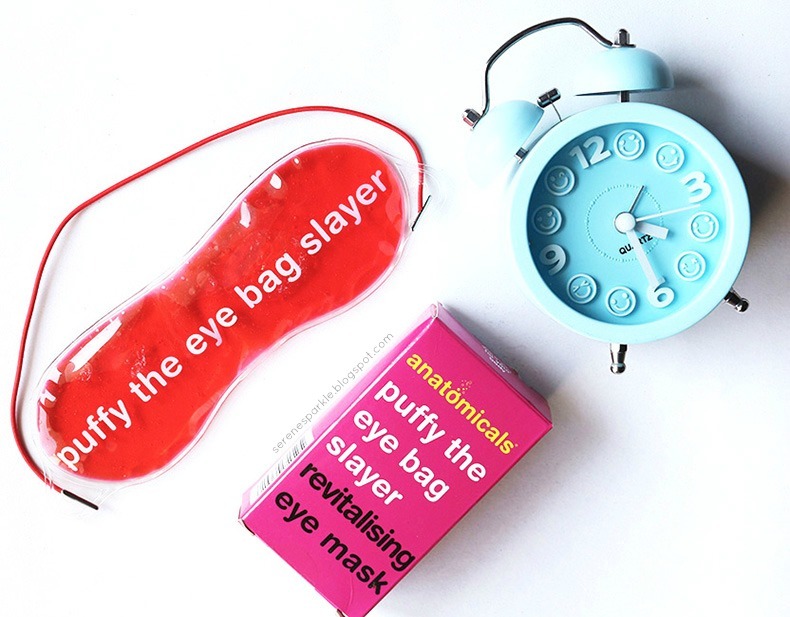 Anatomicals is one brand which caught my attention due to its bright and colourful packaging and not to mention the fun and quirky description of their products. They offer a variety of products but I was particularly drawn towards this eye mask. I also wanna say that I didn't need this type of eye mask that much because placing cold green tea bags on my eyes just relieves them of all tiredness and any kind of burning sensation but lately I've not been drinking green tea a lot so at the end of the day I have nothing to provide instant relief to my eyes and that's when I decided to try out this mask. Ask anyone 'what is the best way to take care of skin?' And they'll say..... adhering to a proper cleansing, toning and moisturizing routine. While it's 100% true that a strict CTM routine truly changes your skin for better but there is one beauty ritual that's still quite underrated and hasn't found a permanent place in many women's daily skincare regime yet and that is..... applying a serum. I have myself never given a thought to incorporate a serum in my skincare routine for the longest time, mainly because of two reasons, first, it's really hard to find a serum that's not exorbitantly priced and the second reason is that like many other women I too didn't think that a serum is important enough and I'll just rely on my basic CTM to keep my skin in a good condition. However, with the rising pollution, heat and dirt in the atmosphere and also indulging in unhealthy foods can really damage skin and that's why we all need a serum that is best suited for our skin. Helichrysum oil made from helichrysum plant is known for reducing age spots, pigmentation and also for its moisturising capability while rosehip oil being a natural source of antioxidants, essential fatty acids and vitamin A is proven to be very beneficial for skin.